Started the work tonight on my 2.3TL's- and pretty quickly made a mistake in my note taking but already saved by a sticky thread. 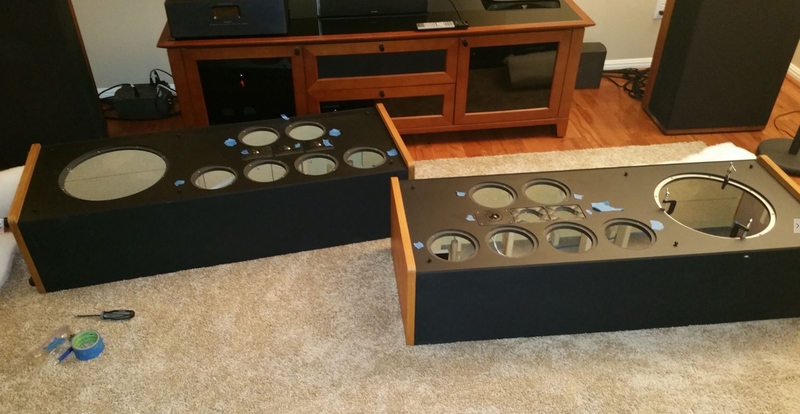 So-- I was meticulous about labeling the speakers and labeling the wiring harness, but I made a mistake on the right speaker. I assumed the wires were keyed like the tweeters and so I did not note which color wire (black or white) went to the 'red dot' terminal on the drivers. 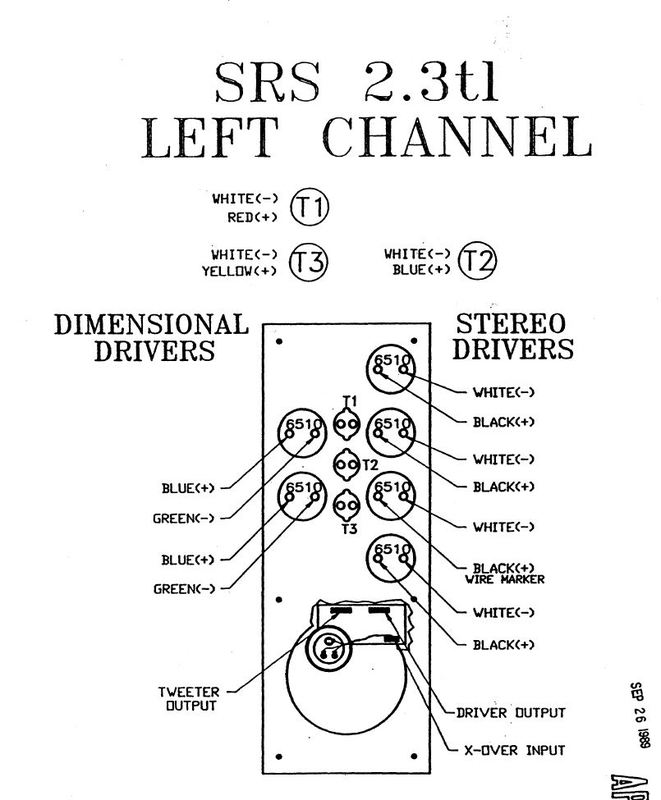 The 'red dot' being placed on the left terminal when looking at the speaker from the front-- see pictures below. 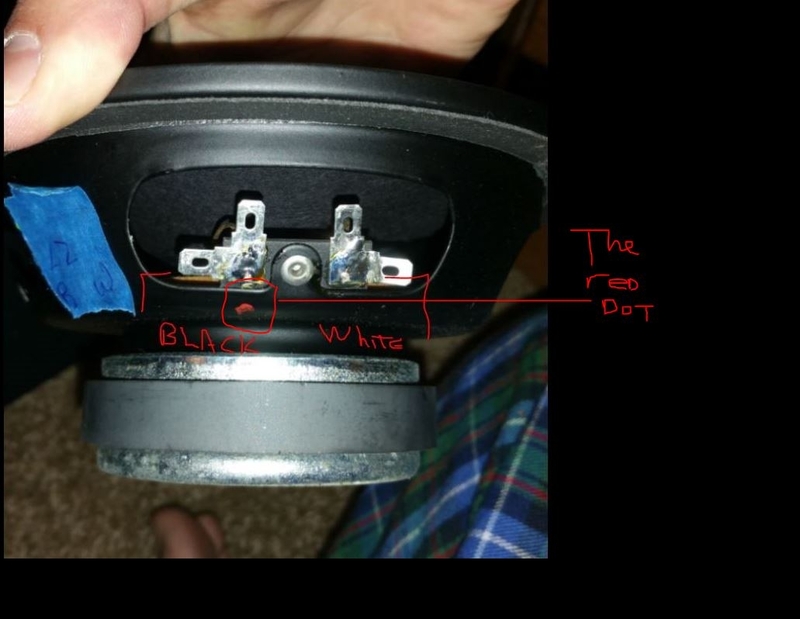 I caught my mistake 2 drivers in on the left speaker and started then noting the wire position. What I recorded on the left speaker is that the of the two top drivers on the column of four drivers were wired black wire-to-red-dot-terminal (and therefore white wire to the right terminal). On the column of only 2 drivers, both had the blue wire going to the red dot/left and the green wire going to the right terminal. I did not capture wiring position of the bottom two drivers of the 4-driver column. 1. On the left speaker, the bottom two drivers of the 4 driver column should be wired black wire to red dot/left terminal? Or does one or two of these reverse polarity for the SDA effect? 2. On right speaker, the 4 drivers column should all be wired black-wire-to-red dot/left terminal? 3. On right speaker, that the 2 drivers column should be wired blue wire-to-red dot/left terminal? I found these schematics in the sticky section, think they answer my questions. Thanks for your help. Feel pretty foolish given how much time I've planned this work. So-- that's a pretty serious error in the schematics then. What it lists for the left channel is what I saw when I finally remembered to start taking notes, but I have zero baseline for the right channel, and now I have the most senior member of the forum disagreeing with engineering drawings as drawn by Rick Schimpf and signed by both a QA and Engineering approver back in 1989. Hard to swallow that either of you are wrong. That's odd. Looks like they just flipped the image, and re-typed everything. Think about it. The red dot is on what side of a properly installed driver? The drawings for the 2B and 1.2TL right channel are the same way. In the end the position marked on the drawings doesn't matter, what color is positive or negative does. Looking good man - those big boys certainly are a big project! Looking good Waxman, do you have a pair of SRS hooked up now? Curious as to how the modded 2.3TL's will compare? Your efforts and your investment will be rewarded, no doubt. Just be patient with the break-in process, the sound will be all over the place for some time. N'joy! Good work Waxman. I can tell you are excited. By coincidence I am going to pick up my 2.3TL's this Sunday so I know how you feel. 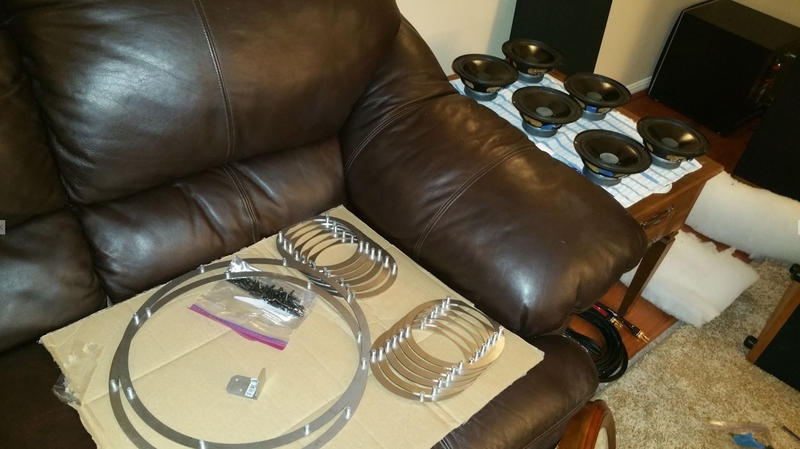 -Already ordered Larry's rings and 198 tweeters (thanks Larry). 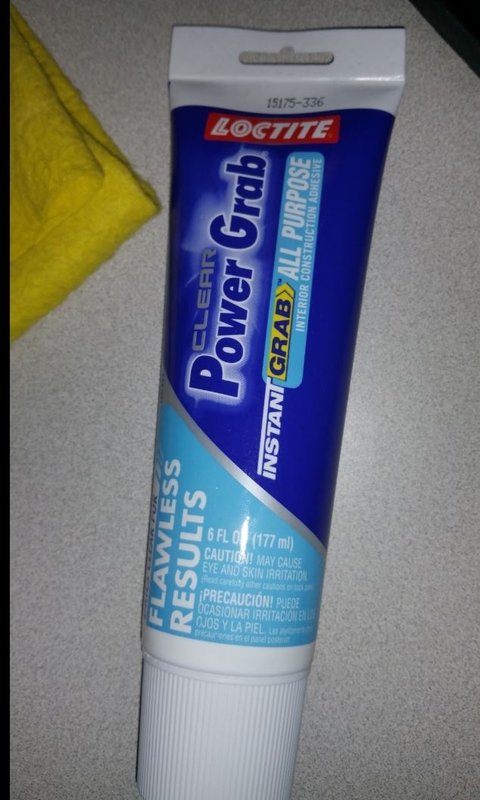 -Got plenty of Dynamat Extreme and Powergrab for the drivers and any leaks in the cabinets. -Got plenty of Armacell for gaskets. -I plan to secure the end cap hardware with a gasket, flatwasher and lockwasher (thanks F1). -Later I plan to swap out the x-overs with a set of gimpods boards with all new components. 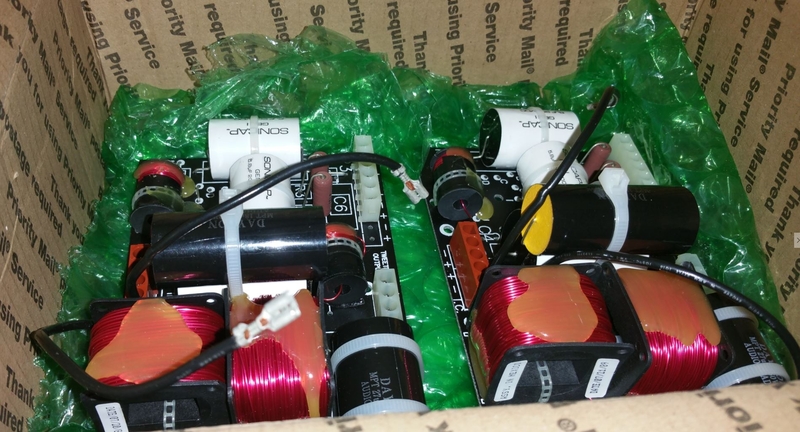 -I plan to change the sub-base inductor to a lower DCR. -While I am inside I plan to measure the wiring harness and document for future upgrade. -I plan to upgrade the binding posts, IC cable and connectors. -At some time I will upgrade the spikes. Mike is spot on on his comment.I have been meaning to comment on my breaking in on my 1.2tl's and they are all over the place on sound.The 2.3tl's I have sound so much better at this point because they are well broken in and have the better gear on them.Patience is the key. You can cross that one off your list. Hi F1nut, I appreciate your help. 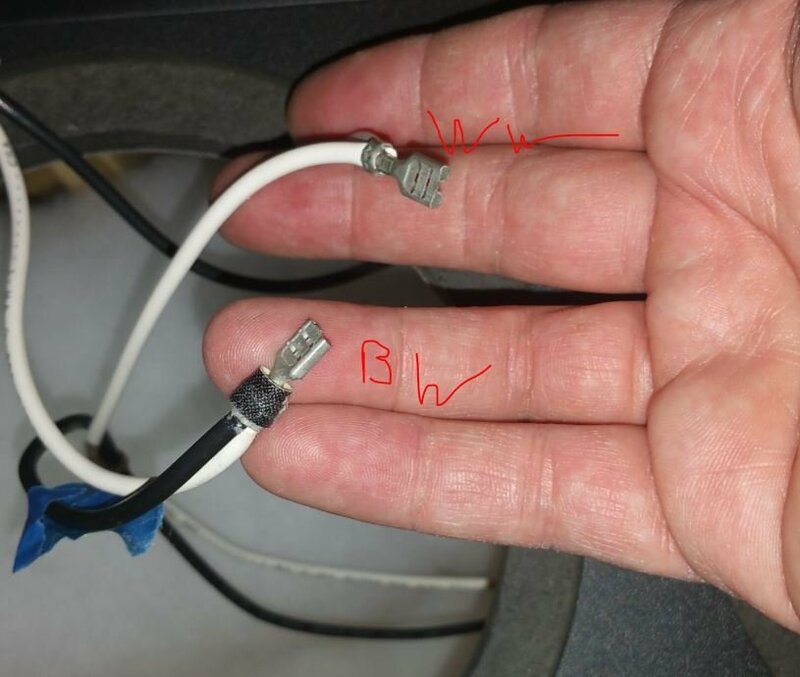 From your comment, you believe the right thing to do is to put the black wire on the red dot (left terminal when looking from top) for both the right and left channel drivers, end of story. That's my current course of action. The think about it part- well, I did. 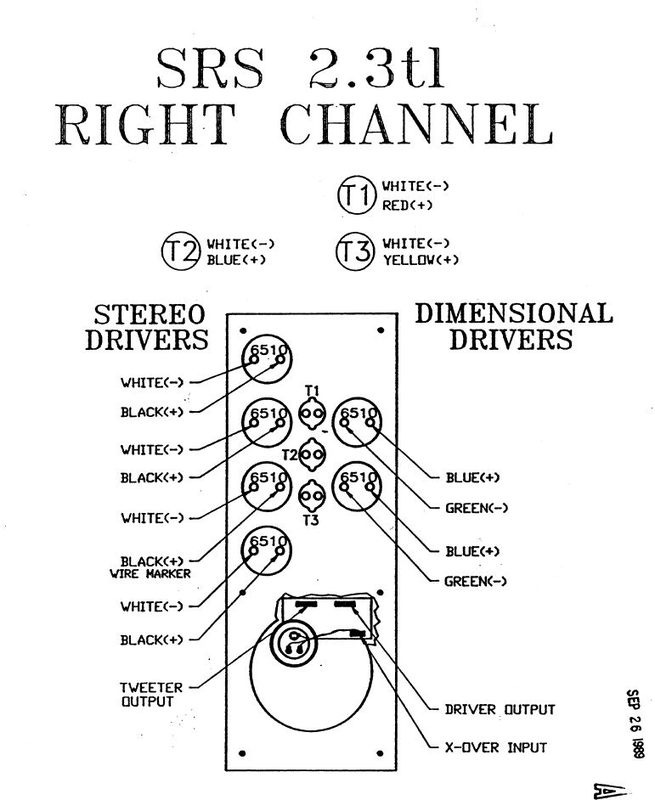 Perhaps I was overthinking it, but the speaker doesn't determine the polarity of the signal, that's coming from the posts/crossover, so the way I read the schematic is that the black is still carrying the + polarity and the white is carrying the - polarity, and that you happen to connect them on swapped sides of the drivers (which carries no intrinsic charge) depending on if the driver is on the left vs. the right channel. If this was the case, you and the schematic would both be right- black wire is always +, etc. It's low on the priority list. Good to have around if needed. I will pull mine if you like but I can tell you I hooked mine up like f1 said black wire to positive just like I marked them before I sent my xovers off for upgrades.Whether it was the left or right on he pics on the page you are talking about I never looked at the pics just the color of wire to the positive terminal. Waxman, I just had mine open over the weekend. The black wire goes to the red dot/left terminal in both speakers. Gotta disagree Mr. President, Armacel is the best stuff going for replacing the stock gaskets. understood- case closed. thank you! IF they are damaged and need replacing. I'll ask this question on the ring thread so others can chime in. Yes, that will be a problem. I had that happen to a job I was doing, but it wasn't a pair of 2.3TL's. 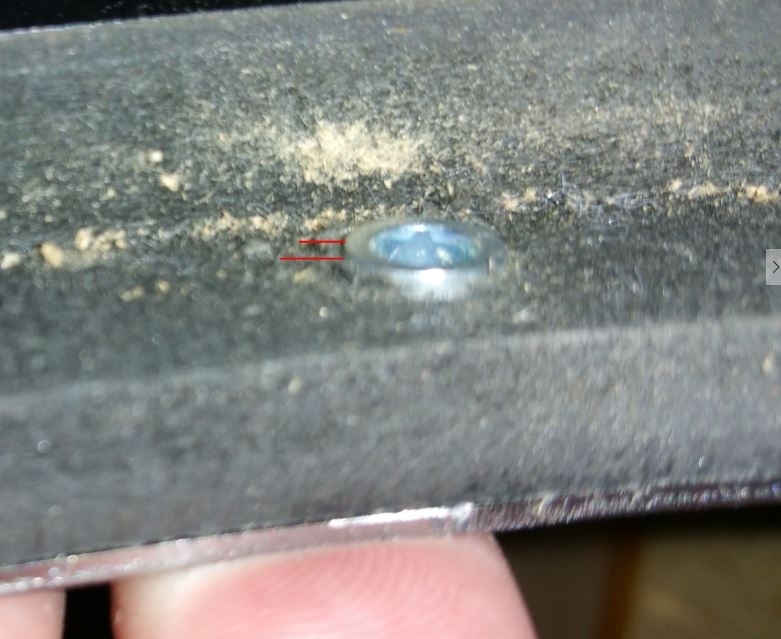 Anyway, I used my Dremel with a cut off wheel to remove the excess. Do it with the ring out of the cabinet. 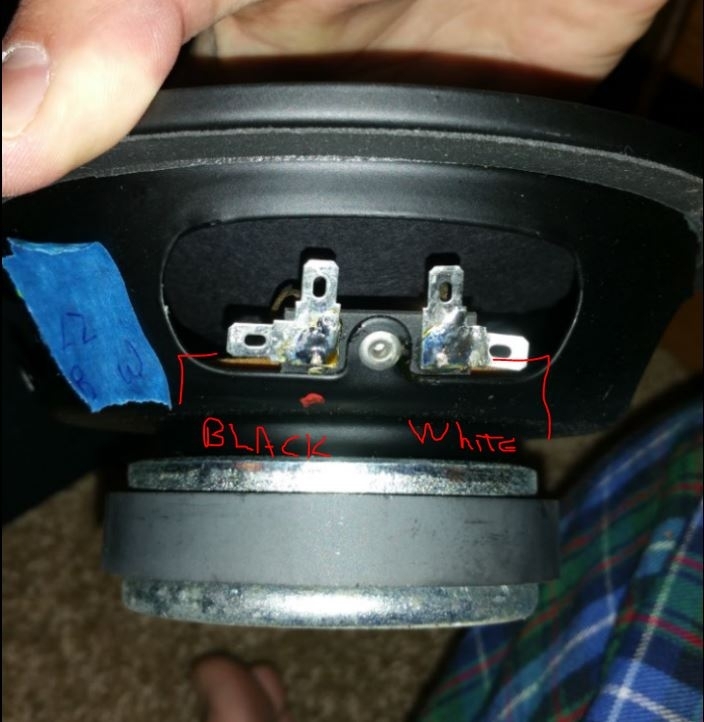 F1nut- on the third driver down in the 4-stack, wiring looks like this - white/white on one side and white/black on the other. I am I correct is assuming the white/black pair go to the left/red dot side of the driver? thanks! 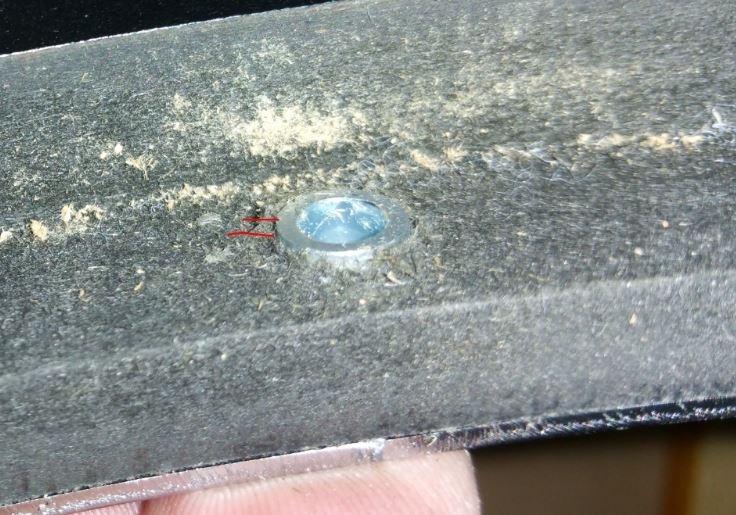 Yes, as indicated by the small piece of black tape wrapped around just below the faston. I found this discussion quite interesting! Will the battery test confirm that the drivers are hooked up correctly? I believe that would be yes. What is the thread size for the feet/spikes on a 2.3TL? I am going on a road trip tomorrow to pick up my 2.3TL's. From looking at photos I see that they have spikes installed. The button feet are probably long lost and I was wondering what the thread size is so I can fabricate something to use to help move them around until I find the best location and reinstall spikes. Someone should corroborate, but I believe all vintage Polks use 1/4-20 threading on feet/spikes.